For the past fifty days, I have been asked on various occasions what my one year in Belgium was like, what it was worth, what it did and how it felt to be back. I have been scratching my head since well before my departure from the Brussels international airport as to how I would answer these questions without stumbling over my own words. I have finally arrived at an answer that feels right. On the 8th of July, I found myself saying goodbye to the very people who had become family over a short span of ten months. We’d laughed together, gone shopping, fought, cooked, and cried together; among other things. This was another one of those moments where neither of us knew how to express what we felt. I met many people on my exchange, not all goodbyes were nearly as hard as this one. We stood before security for as long as possible, unsure of what to say and define as our final moments together. Contrary to my expectations from myself, I didn’t cry half as much as I did on my flight towards Belgium. Leaving felt like the emptiness that follows after heartbreak. It’s uncertainty masked by confusion and layers of insecurity, pain and very slight hints of newfound confidence. I know this may not make sense to many people who haven’t experienced this but there’s a sense of numbness and alienation that follows. This may not necessarily be a bad thing though. 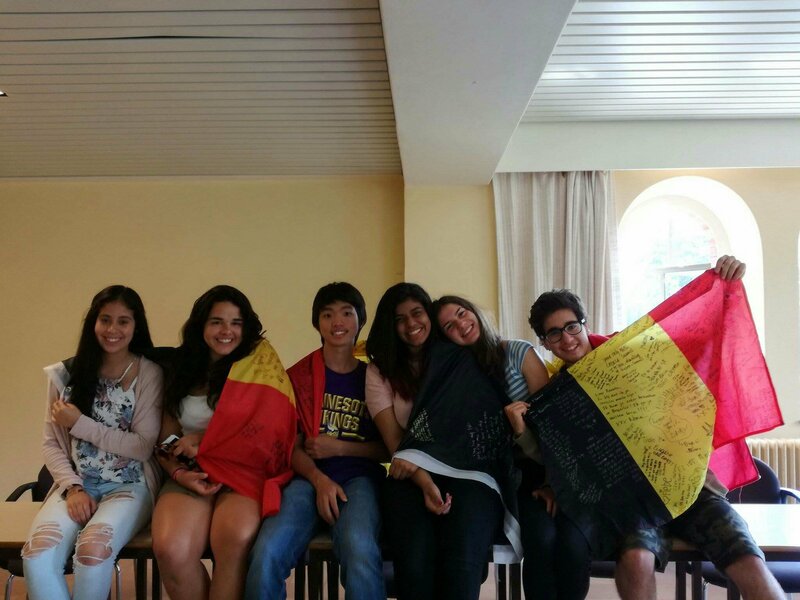 During my exchange, I had the pleasure of making friends from all over the world, it was like we all connected on a level that may not be characterized by daily gossip but occasional worry and care for one another. I learnt a different language, kissed people from different nationalities, learnt to survive alone in a country that wasn’t home to begin with, and overcame challenges that come with multiculturalism and clash of values. When people ask me whether it was worth it to repeat my year for what they consider a “vacation”, I can’t help but be amazed at how much they had missed the entire core of my year abroad. It was never about the travel or the fun, it’s about the struggle and what I gained from it. So yes, it was worth it and I would do it all over again if I could. When you come back from a journey that changes you in ways that even you can’t sometimes recognize, it become hard to fit back into regular routine. You start to see things in a different light, learn to prioritize, figure out your personal moral code. When the first thing that people say to me is about how much weight I gained, or how much I could stand to lose; my thoughts seem to wander back to my friends in Brazil, Venezuela or even US, who couldn’t have cared less about such things and would rather hear all about the school system in my country. When you become used to an environment like that, it becomes a daily struggle to not lose your cool when people care more about backward ideologies and imposing opinions on you rather than more substantial discussions. Intercultural learning on a level that an exchange program provides makes you more focused on mutual understanding and anything different makes you want to simultaneously explode. It raises your expectations from yourself and others. Among the only good things I have been able to identify about being back, is the sense of focus and reinstated confidence that follows. It’s like crossing some sort of invisible barrier you didn’t even know you could reach. The feeling of, “If I did this, I can do anything.” Before I speak in front of a crowd, my mind goes back to when I was a guest speaker at a high school conferences and being asked to motivate students who only barely speak the same language as me. If I have to find my way late at night, I remind myself of how I navigated through streets of Brussels and Berlin. When I see something unjust, I tell myself that my friends, all over the world, would stand up and do the right thing regardless of the repercussions. It’s like being sent positive energies and love from all across the globe. I know I make it sound like an idealistic world, I also know that that isn’t reality but there’s no harm sometimes, in just believing in who you are and what you can be. My experiences will forever remain my own but, some day, if you feel the universe calling out to you, when you feel like you can change the world and nothing can stop you; if you want to simply believe in something…Call me and we will fumble through a map of itched ink and laughs together.